My purple coneflowers have been attracting a lot of butterflies recently which got me thinking about butterfly pollination while I was trying to get close enough to snap the picture below. 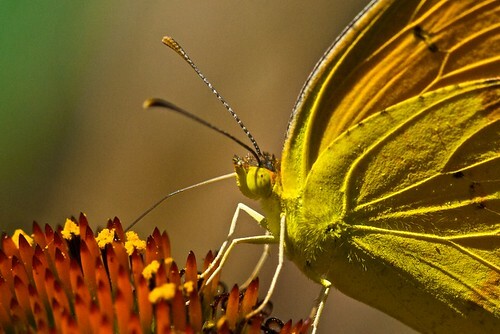 I found an article from our friends at Texas A&M that confirms that while butterflies may not be the most efficient pollinators around, they do their part and certainly look beautiful in the process. Butterfly populations are also on the decline due to loss of habitat and improper use of pesticides. So for all those beekeepers out there planting “bee-friendly” flora, do a little research and throw something in for the butterflies.